Recent Arrival! CARFAX One-Owner. Clean CARFAX. 7 Year / 100k mile Honda Certified Warranty, Honda CERTIFIED FACTORY WARRANTY 7 YEAR / 100K, Gray Cloth. CALL TODAY TO CHECK AVAILABILITY AND ADDITIONAL OPTION. Recent Arrival! CARFAX One-Owner. Clean CARFAX. 7 Year / 100k mile Honda Certified Warranty, BALANCE OF FACTORY WARRANTY, CLEAN CARFAX REPORT ONE OWNER, Honda CERTIFIED FACTORY WARRANTY 7 YEAR / 100K, LEATHER, LOCAL TRADE-IN, POWER SUNROOF / MOONROOF, Black Leather, 17" Alloy Wheels, Automatic temperature control, Electronic Stability Control, Front dual zone A/C, Fully automatic headlights, Power moonroof, Remote keyless entry, Speed control, Steering wheel mounted audio controls. CALL TODAY TO CHECK AVAILABILITY AND ADDITIONAL OPTION. Awards: * 2017 KBB.com Brand Image Awards * 2017 KBB.com 10 Most Awarded Brands 2016 Kelley Blue Book Brand Image Awards are based on the Brand Watch(tm) study from Kelley Blue Book Market Intelligence. Award calculated among non-luxury shoppers. For more information, visit www.kbb.com. Kelley Blue Book is a registered trademark of Kelley Blue Book Co., Inc. Recent Arrival! CARFAX One-Owner. Clean CARFAX. 7 Year / 100k mile Honda Certified Warranty, Honda CERTIFIED FACTORY WARRANTY 7 YEAR / 100K, Black Cloth. CALL TODAY TO CHECK AVAILABILITY AND ADDITIONAL OPTION. Recent Arrival! Clean CARFAX. 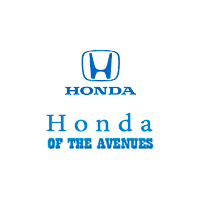 7 Year / 100k mile Honda Certified Warranty, Honda CERTIFIED FACTORY WARRANTY 7 YEAR / 100K, Black Cloth. CALL TODAY TO CHECK AVAILABILITY AND ADDITIONAL OPTION. Recent Arrival! CARFAX One-Owner. Clean CARFAX. 7 Year / 100k mile Honda Certified Warranty, Honda CERTIFIED FACTORY WARRANTY 7 YEAR / 100K, 2.0L 4-Cylinder DOHC 16V i-VTEC, Gray Cloth. CALL TODAY TO CHECK AVAILABILITY AND ADDITIONAL OPTION. Recent Arrival! Clean CARFAX. 7 Year / 100k mile Honda Certified Warranty, Honda CERTIFIED FACTORY WARRANTY 7 YEAR / 100K, Black Leather. CALL TODAY TO CHECK AVAILABILITY AND ADDITIONAL OPTION. Recent Arrival! CARFAX One-Owner. Clean CARFAX. 7 Year / 100k mile Honda Certified Warranty, BALANCE OF FACTORY WARRANTY, CLEAN CARFAX REPORT ONE OWNER, Honda CERTIFIED FACTORY WARRANTY 7 YEAR / 100K, LEATHER, LOCAL TRADE-IN, POWER SUNROOF / MOONROOF, AWD, 4-Wheel Disc Brakes, ABS brakes, Air Conditioning, Alloy wheels, Auto High-beam Headlights, Automatic temperature control, Distance pacing cruise control: Adaptive Cruise Control with Low-Speed Follow, Front Bucket Seats, Front dual zone A/C, Fully automatic headlights, Heated Front Bucket Seats, Heated front seats, Leather Seat Trim, Memory seat, Panic alarm, Power driver seat, Power Liftgate, Power moonroof, Power passenger seat, Power steering, Power windows, Rear anti-roll bar, Rear window defroster, Remote keyless entry, Security system, Speed control, Speed-sensing steering, Speed-Sensitive Wipers, Turn signal indicator mirrors. CALL TODAY TO CHECK AVAILABILITY AND ADDITIONAL OPTION.